You can get a free breakfast at some McDonald's this week. But you'll have to eat at Taco Bell first. Customers who bring their Taco Bell receipt to McDonald's before April 17 will get a free Egg McMuffin sandwich at participating locations in Pennsylvania. 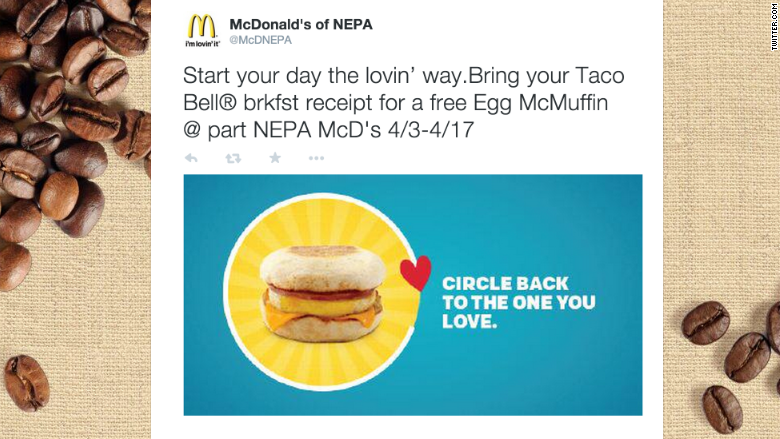 The gimmick started on April 3, according to the Twitter account for McDonald's of Northeast Pennsylvania. It's the latest move in fast-food's war for the breakfast crowd. In March, McDonald's announced that it would try serving all-day breakfast at certain restaurants in the San Diego area. 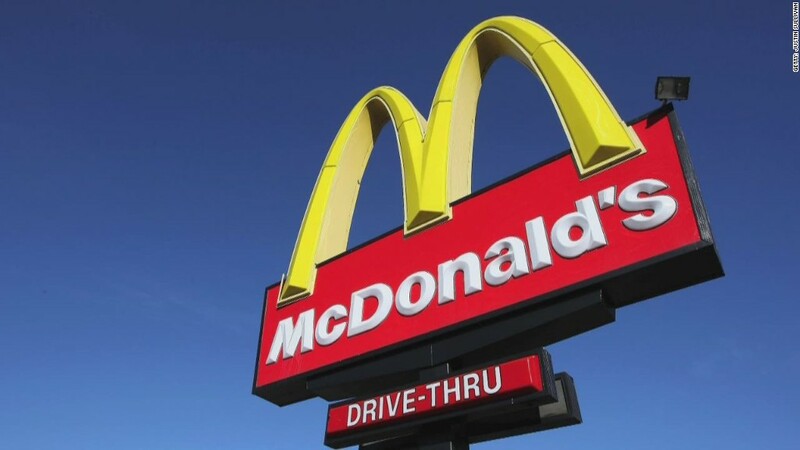 Struggling amid lousy sales, McDonald's (MCD) said it's eliminating some menu items. But it's bringing back its Chicken Selects tenders after a two-year hiatus. McDonald's was not immediately available to say whether or not the deal would be offered at locations in other parts of the country.